Large fat green leaves grouped to form rosette-like growth at stem tips. 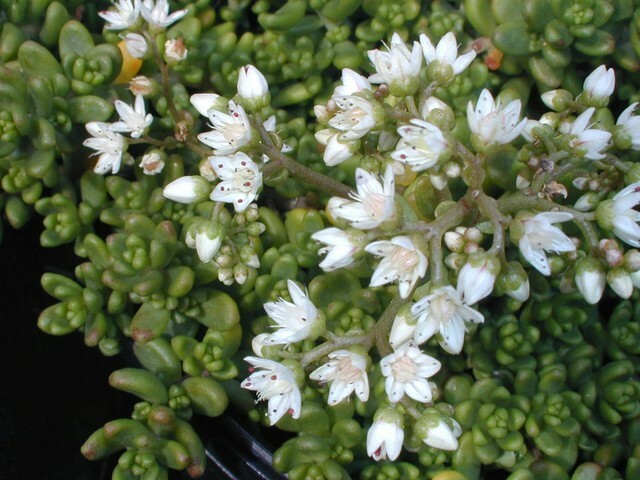 Similar to Sedum album Athoum. White flowers. Evergreen.